In between Christmas and New Year’s I went up to spend the weekend in Cambridge. 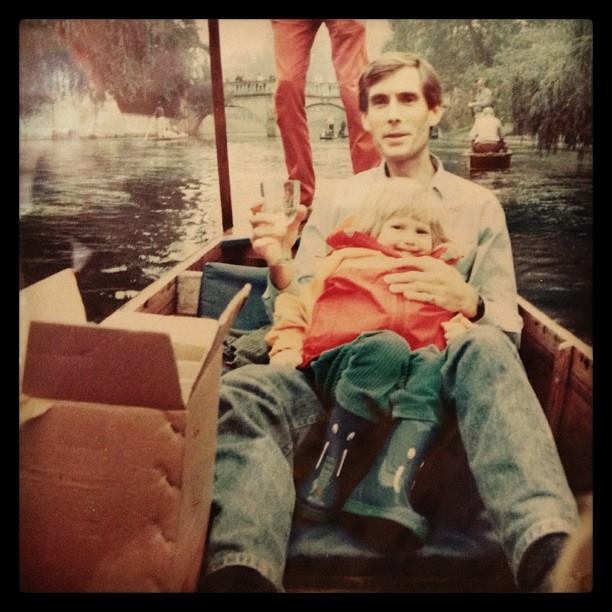 The last time I visited Cambridge I was about 4-years-old and, as shown in this adorable photo below with my father, I was dressed in elephant wellies! 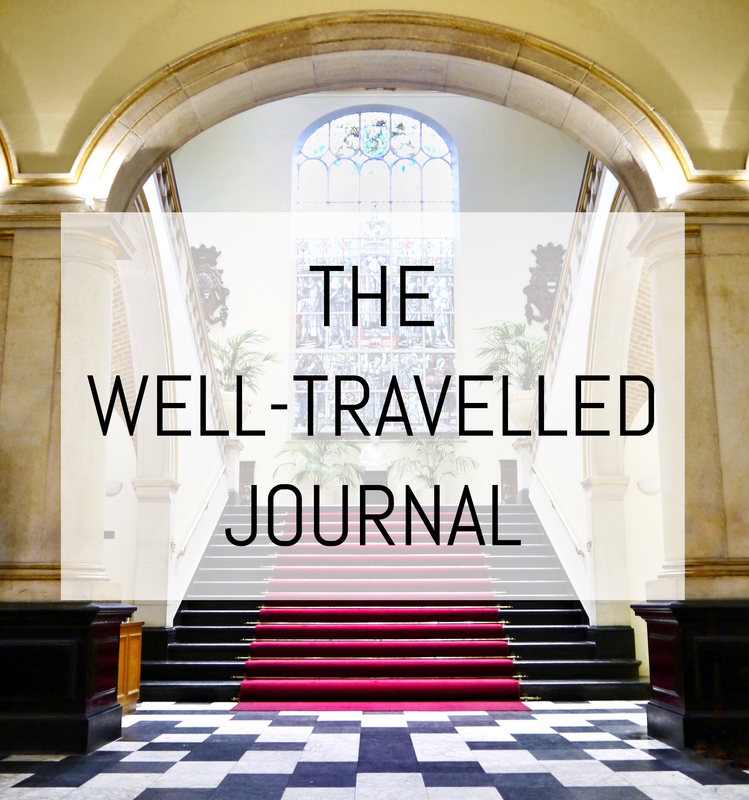 Needless to say I don’t remember anything from my very first trip, so on this trip the city felt like somewhere completely new. 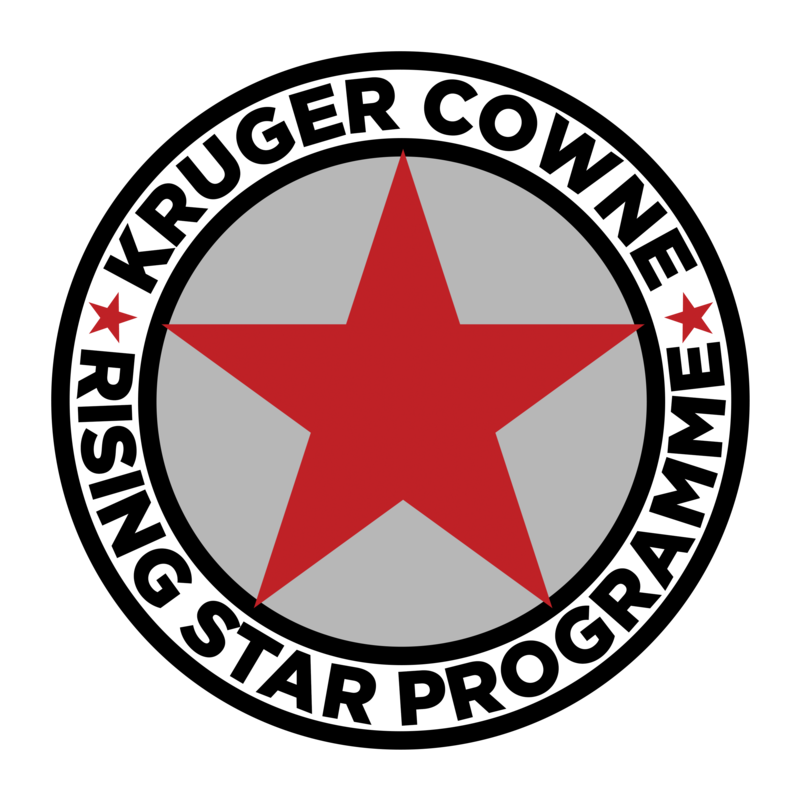 It did however strongly resemble Oxford, another beautiful university city full of knowledge and extreme intelligence. 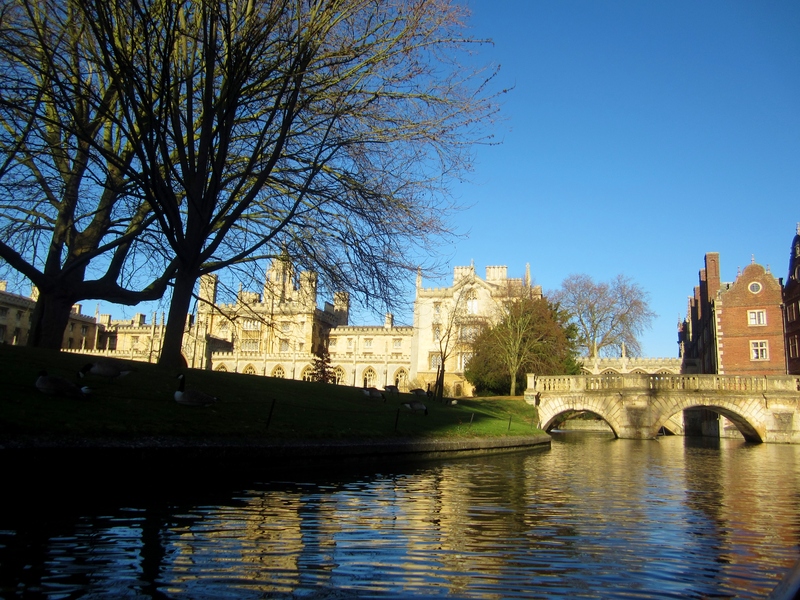 A must-do on any trip to Cambridge is to go punting along the River Cam, which weaves its way between some of the more famous colleges in the heart of the city, like Queens’, King’s, Trinity and St John’s College. 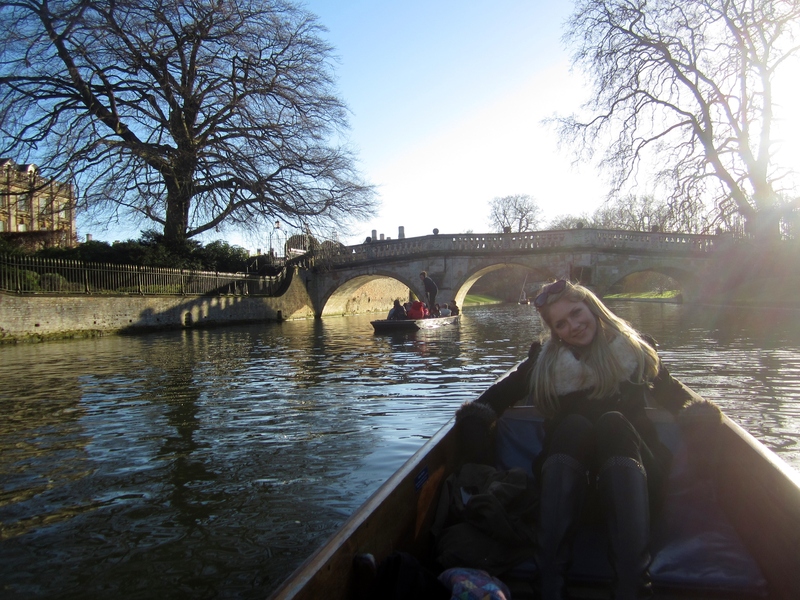 As we went punting, I wanted to recreate the photo taken 20 years in the very same spot, although I’m afraid I didn’t manage to bring those wellies along with me…. 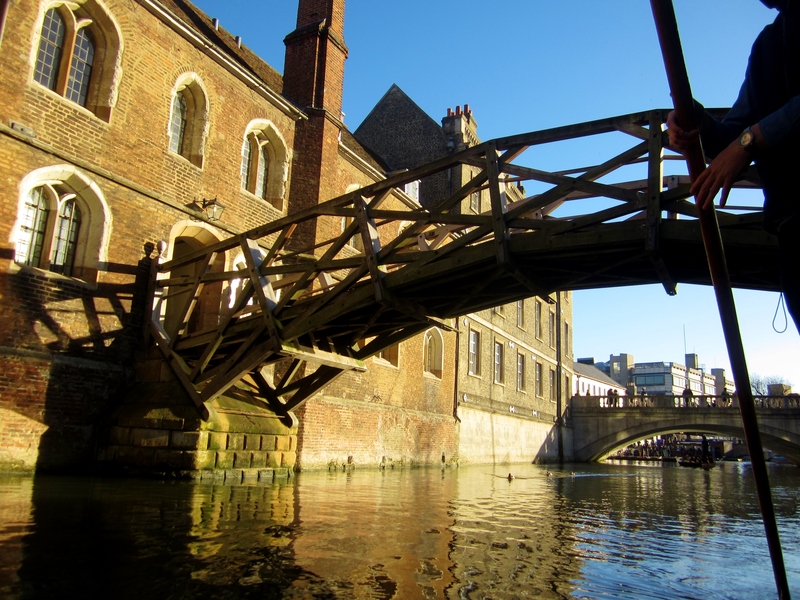 And the bridge in the postcard above and my photo below is called the Mathematical Bridge and belongs to Queens’ College. 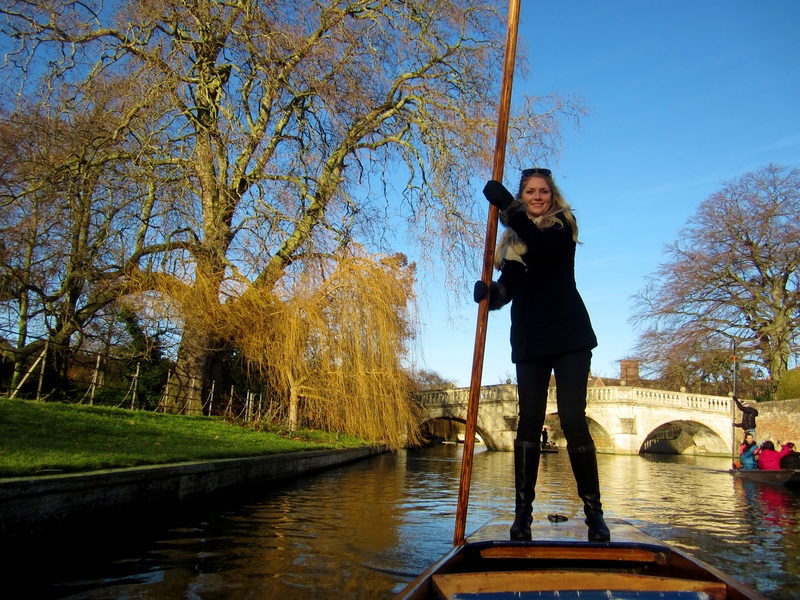 You can either hire a punt with a chauffeur-tour-guide or if you’re feeling strong then you can hire one to punt along by yourself. As the friend I was visiting used to work as a chauffeur on this very river, we hired our own. 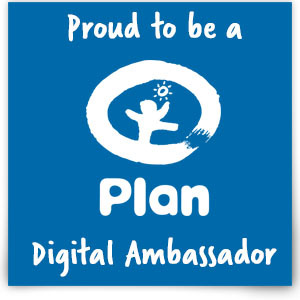 I gave it a try myself (for all of about 5 minutes) and can safely say that it is very hard work! 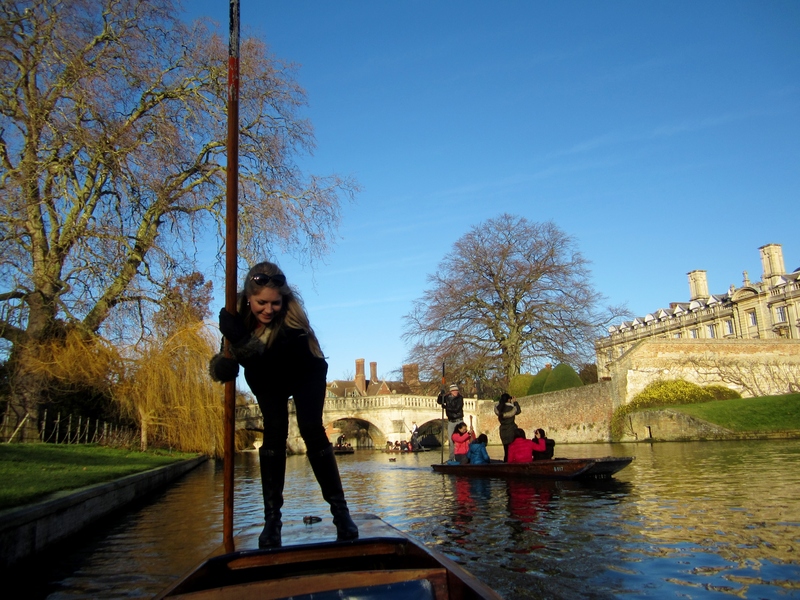 Don’t underestimate how heavy that wooden pole is, and good luck steering and trying not to capsize or shipwreck the punt… My inability with the punt provided great entertainment for another group being chauffeured by a rather more expert girl, and I humbly admitted defeat. Despite going punting in mid-winter we were lucky enough to have a gorgeously crisp, sunny day and I imagine the thin river must be packed during the summer months as it’s an absolutely idyllic way to spend an afternoon (especially if you’re the one lying back and enjoying the view, rather than the one struggling to navigate the river). 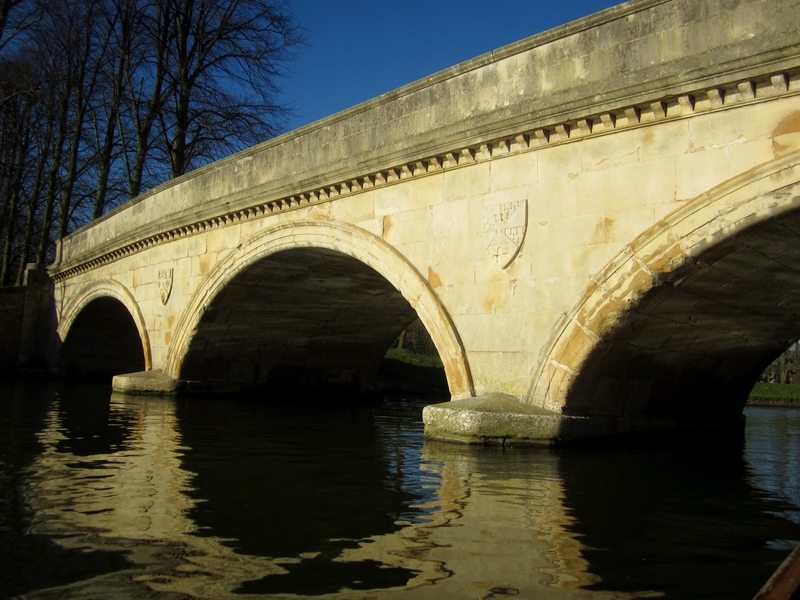 If you’re keen to go punting then either look out for the chauffeurs trying to sell you their services in the city centre, or head to Laundress Lane or the bridge near Magdalene Colllege, two places where you can pick up a punt.